Despite having made a change at head coach, the Chicago Bears retained Vic Fangio as defensive coordinator. The other three NFC teams with new head coaches did hire new defensive coordinators. 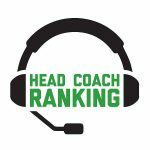 Three NFC teams that do not have new head coaches decided to make changes after the 2017 season at defensive coordinator (Carolina, Green Bay, Seattle). Below is a brief rundown of who the new coordinators in the conference are and what challenges they face in 2018. BIGGEST CHALLENGES: The Cardinals defense will be undergoing significant changes despite their relatively strong showing in 2017, when they finished sixth in yards allowed and gave up below the league average of 5.3 yards per play as they only allowed 4.9 yards per play, fourth-best in the league. Under Holcomb, the Cardinals are expected to move from a 3-4 base alignment to a 4-3 base and incorporate more nickel defense packages. Although head coach Steve Wilks won’t call the defense, he was recognized for blitzing frequently as defensive coordinator in Carolina last season. We would expect him to bring that aggressive philosophy to Carolina in 2018. Defensive end Chandler Jones and cornerback Patrick Peterson return in 2017 as do emerging players Hasson Redick and Deone Buchanon at linebacker. The challenge will be overcoming the loss of three of their most productive players and leaders in linebacker Karlos Dansby, and safeties Tyvon Branch and Tyrann Mathieu. Depth will be an issue. BIGGEST CHALLENGES: For the second year in a row, the Panthers have a new defensive coordinator. Sean McDermott departed to become the Buffalo Bills head coach after the 2016 season and Wilks left this year to take the Cardinals head coaching position. Head coach Ron Rivera once again promoted from within and defensive line coach Eric Washington takes over. Washington will have his work cut out for him. The team is a little older. It only signed one potentially impact player this offseason in free agency, defensive tackle Dontari Poe. Poe joins Kawann Short up front and they make a formidable duo. However, there are questions along the rest of the front seven. Defensive end Julius Peppers is entering his 17th season, Luke Kuechly is one of the best linebackers in the game but hasn’t played a full season since 2014. Linebacker Thomas Davis is suspended for the first four games of the season. Shaq Thompson has made little impact since being drafted in 2015. Carolina used their final four picks in the 2018 draft on front seven defenders. But that is obviously unproven depth. The secondary outside of 37-year-old safety Mike Adams and free agent acquisitions Da’Norris Searcy and Ross Cockrell is questionable and unproven. It’s a group that might take a step back in 2018. BIGGEST CHALLENGES: The Lions will go from a 4-3 defense in 2017 to more of a flex, hybrid defense employed by the New England Patriots. The defensive line struggled in 2017 and this was attributable to injuries to Ziggy Ansah, Kerry Hyder, and Haloti Ngata. Anthony Zettel showed promise and A’Shawn Robinson has to make a significant leap as he suffered a sophomore slump in 2017. The linebacker corps improved slightly in 2017 and should get even better. Jarrad Davis and Jalen Reeves-Maybin, both high 2017 draft picks, showed flashes but just need to demonstrate they can keep their weight up and make it through the physicality of the NFL season. The secondary is expected to be the strength of the defense. It’s a deep group with free-agent acquisition Nevin Lawson at one corner spot, Darius Slay at the other and safeties Glover Quin and Tavon Wilson. Backing them up are young players such as Miles Killebrew, Teez Tabor and Jamal Agnew that were selected in the last few drafts that the team is bringing along slowly. This group shows promise and should improve on their 2017 performance. BIGGEST CHALLENGES: Green Bay struggled on defense in 2017. The fan base had been clamoring for a change at defensive coordinator for a number of seasons. After a season where the Packers failed to make the playoffs, a change was made. Out is Dom Capers and in is former Browns head coach Mike Pettine. The strength of the defensive unit is up front, especially with the signing of Muhammad Wilkerson to complement Mike Daniels and Kerry Clark. The linebacker corps is solid as Nick Perry and Clay Matthews lead the unit and Blake Martinez is a solid tackler. There is depth behind all three. The secondary will be a concern as outside of safety Ha Ha Clinton-Dix and the return of cornerback Tramon Williams there are questions. Two strong players from the 2017 group, cornerback Damarious Randall and safety Morgan Burnett are now elsewhere. Kevin King, a 2017 draft pick, and 2018 first- and second-round picks Jaire Alexander and Josh Jackson, respectively, will likely be pressed into service quickly. We anticipate that the performance of the secondary will set the tone for the entire defense. How they perform may determine whether the Packers reach the playoffs in a competitive NFC. BIGGEST CHALLENGES: The Giants finished 29th in total defense in 2017. Both starting cornerbacks, Janoris Jenkins and Eli Apple, were suspended for a game for conduct detrimental to the team. It was a turbulent season for the unit. After the season, the Giants hit the reset button and brought in James Bettcher to bring in elements of the sound Arizona Cardinals defense. Under Bettcher, the Giants are expected to employ the use of the 3-4 more frequently. As a result, Olivier Vernon will shift to outside linebacker from the defensive end spot. The Giants traded for former Rams inside linebacker Alec Ogletree to help shore up a porous run defense that allowed 120 rushing yards per game. Joining Jenkins and Apple in the secondary will be former Pittsburgh Steelers cornerback William Gay. Safety Landon Collins is coming off a second surgery to repair a forearm injury, but is one of the better young safeties in the game. Gradual improvement in New York is expected, but there’s a lot of work to be done to get everyone on the same page. BIGGEST CHALLENGES: The “Legion of Boom” era is done and Seattle is starting over. Gone are Michael Bennett, Cliff Avril, Richard Sherman and Kam Chancellor. Also gone from the roster is 2017 acquisition Sheldon Richardson. Safety Earl Thomas is still on the roster but has been vocal about receiving a contract extension or being traded. Norton has his work cut out for him in getting the most out of a young defensive front and secondary. The good news is there are some key pieces in place. Defensive tackle Frank Clark is emerging as a difference-maker and Dion Jordan joined the team late in the season and made an impact with four sacks after off-the-field issues threatened to permanently derail his career. The secondary might not have the names that they had a year ago, but they show signs of being one of the better secondary units in the NFL as Shaquill Griffin had an outstanding rookie season and Justin Coleman proved to be a strong slot defender. The strength of the defensive unit is unquestionably the linebacking corps led by middle linebacker Bobby Wagner and outside linebacker KJ Wright. 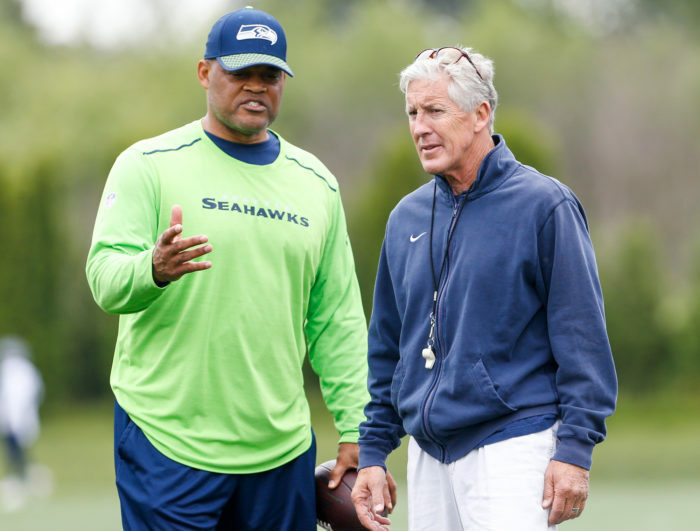 The question is: Will this defense be strong enough to get Seattle back into the playoffs?